Stuffed Shelves: CHECK IT OUT! Omerica Organic GIVEAWAY! Everyone Can Be a Winner!!! CHECK IT OUT! 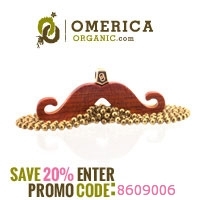 Omerica Organic GIVEAWAY! Everyone Can Be a Winner!!! 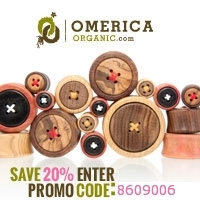 Help Stuffed Shelves and go Shopping for amazingly cute jewlery at Omerica Organic Jewelry! I buy all my plugs here, they're the best for your ears since they are all organic. Just look how cute everything is, and follow the link below. I wish I could buy it all! If you use my promotion code of 8609006 I will giveaway a 5$ gift card of your choice AUTOMATICALLY! Promote it using the Rafflecopter Giveaway form below, and still enter a chance to win a $10 gift card of your choice!